The CWO NW London held a fundraising dinner to support women into public life. Many thanks to our wonderful speakers whose speeches were inspiring to men and women. 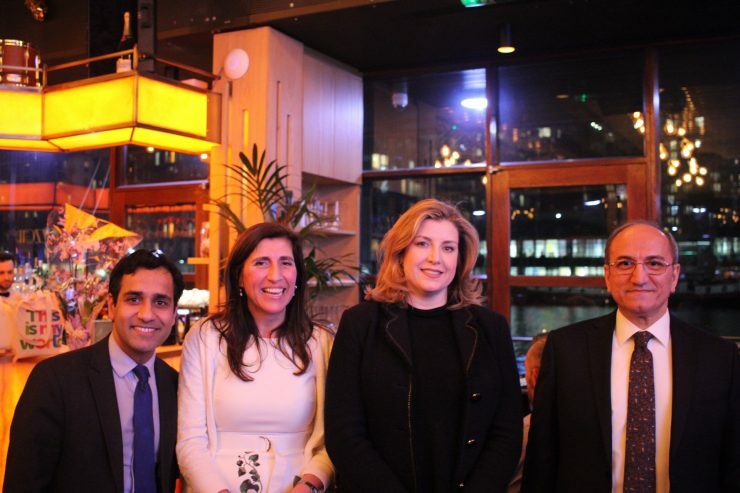 We heard from the Rt Hon Penny Mordaunt MP about her experiences as a woman in politics, from His Excellency Abdurrahman Bilgic the Ambassador of Turkey about how women in Turkey hold key roles and half of Turkey’s Ambassadors are women, Virginia Crosbie director of Women2Win on her experiences as a candidate and from Rehman Chishti who gave a rallying cry for women standing in the forthcoming London elections. Thank you to the CWO NW London committee for making the event a success.